Today, globalization along with information and communication technologies (ICT’s) offer a great opportunity to bridge differences among peoples and nations through better understanding of other civilizations, societies and cultures, thus contributing towards harmony, peace and tranquility in the world. This momentum will help to deal with the toughest challenges of humanity, namely the mutual lack of knowledge and understanding that gives raise to differences and disparities which pose major threat to world peace. This fact highlights the need to implement concrete dialogue-based outreach projects, especially in the scientific, educational and cultural fields. In this context, and as part of its mandate in the areas of education, science and culture, ISESCO puts human capital development among its top priorities. The most obvious mission of the higher education system is to train competent human resources capable enough to contribute effectively to sustainable economic, social and cultural development of countries. As such, this makes higher education an agent of socioeconomic development with a role to play in improving the quality of life of citizens. To this end, ISESCO launched during the Seventh Islamic Conference of Ministers of Higher Education and Scientific Research (18-19 December 2014, ISESCO Headquarters, Rabat, Kingdom of Morocco), a major project focused on the materialization of exchange programs among higher education institutions in the Arab, African and Asian regions. 2- Contribute to a better understanding among young people and the educational staff of cultural diversity by helping them to acquire the proficiency and basic skills necessary for youth’s personal development, employability and active citizenship. 3- Enhance partnerships among universities and prestigious schools in the Member States by creating a credit transfer system among universities to ensure homogeneous validation of curricula. 4- Develop mobility of students (studies, training, internships), teachers, researchers and staff of private and public institutions wishing to strengthen their capacity, with the ultimate aim of improving communication between Member States. 6- Encourage the learning of foreign languages. • To opt for a curriculum that is among the core components of the program in which the student is enrolled at the University of origin. • To have completed the Master degree. • To sign a Learning Agreement specifying the conditions to be met prior to departure. Students, researchers from Universities of ISESCO’S Members States. 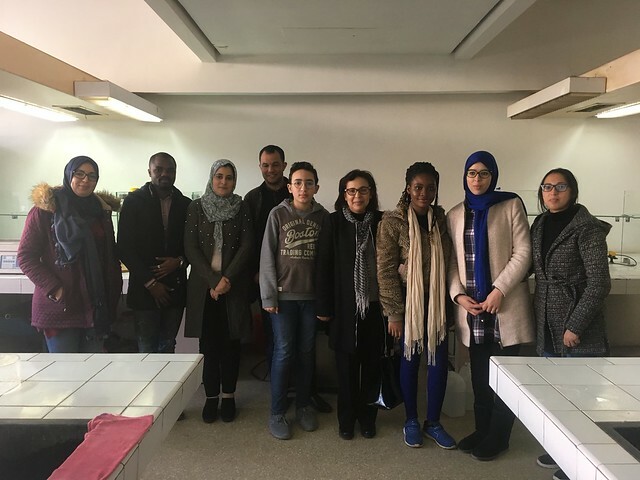 The Students eligible for the TAFAHUM Program are fully assisted by ISESCO which supports their accommodation, air tickets and insurance during their stay as well as other expenses (books, other materials, local transportation, internet usage, etc). University of Abdelmalek Essaadi, Tangiers-Morocco. University of Ibn Tofail- Kenitra – Morocco.